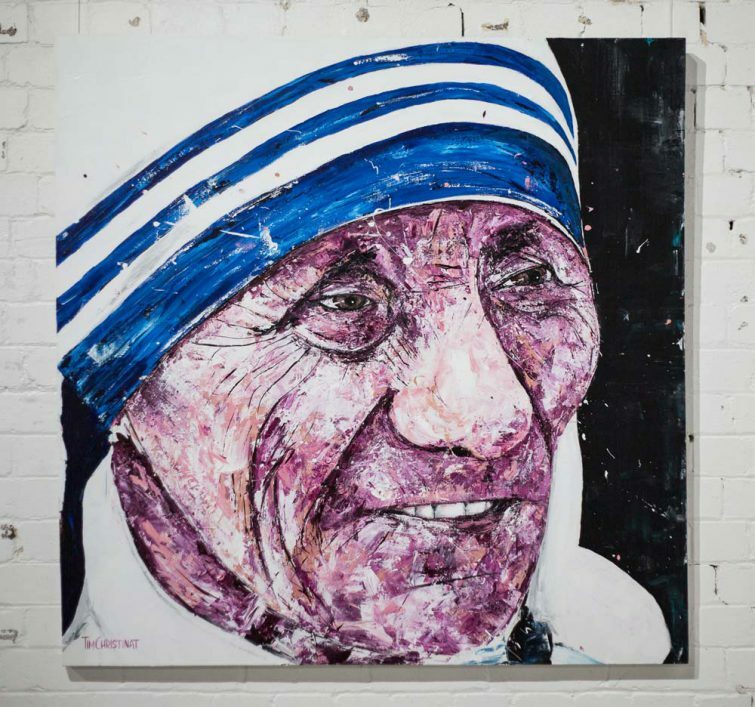 Mother Teresa was painted as a part of a series of 10 portraits for a solo art exhibition ‘under the influence’ of people who have influenced the world. Her distinctive and unique facial structure and features will always make a portrait interesting. Bright colour palette representing the life she lived.